Heart health is the top health feature consumers look for when grocery shopping, equating to more than $6 billion in annual U.S. retail food sales. Today, 55 percent of adults are actively avoiding or reducing saturated fat, while almost 40 percent are incorporating the healthier polyunsaturated and monounsatured fats. Considering these statistics—and given that 71 million American adults have high LDL (bad) cholesterol and 15.5 million have coronary heart disease—food manufacturers and restaurants should aim to meet consumers’ heart health needs to grow their businesses. 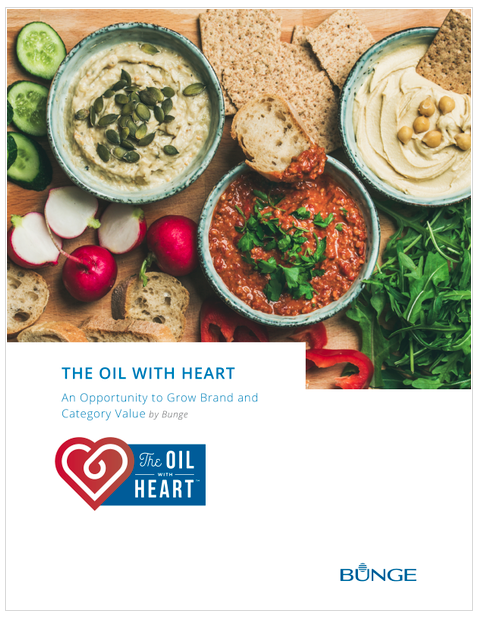 To help in this effort, the U.S. Food and Drug Administration recently approved Bunge's petition for a qualified health claim linking consumption of soybean oil to reduced risk of coronary heart disease.